Home > Nourishment > It’s a Gluten Thing! Bread, crackers, cereal, soy sauce, gravy, beer – just a few of the things I have eliminated completely from my diet since Dr Shores told me I am gluten intolerant. I look at that list and inherently I know they are all “bad” for me foods, but I did not exactly realize why. It is not a “fat” thing or a “carb” thing with my body, it’s a gluten thing. So how have I been feeling since eliminating glutens from my diet? Well – better! The first thing I noticed was an increase in energy. I began feeling less fatigued and sluggish. Then I noticed that my head was feeling clearer, less foggy. If that is all eliminating gluten ever did for me I would be happy with the results, but eventually I also noticed that my back muscles were no longer on fire with pain and my shoulder muscles seemed less tense. Now I should note here that I began yoga at the same time I went off glutens, so it could be a combination of the two, but I am certain eliminating the gluten has been a major factor in my feeling better. The thing that cinched it for me is my hands. The joints in my hands had been so painful for the better part of a year. So much so that I was certain I was developing arthritis in them. I had a hard time gripping and opening things; my coordination was off – I dropped things often; and my hands frequently woke me up throughout the night with throbbing and aching pains. Well my hands are feeling much better. It was a gradual improvement, probably the last thing I really noticed. I still have some pain and stiffness in them, but there is a noticeable improvement. So all that after only ten days. I’m sold and so is my husband. He has been doing it with me and he is feeling better too – more energy, better brain function. This began as a two to three week trial to see how my body responded. After ten days I am firmly committed to it as a new way of eating – not for now – for life. Don’t let me kid you, it is not easy! I think what I miss more than the taste of gluten foods is the convenience of them. There will be much less grab-and-go eating and much more careful preparation of food. I am fortunate to have several excellent markets to chose from to help me with my shopping – Trader Joes, Jimbos and Henry’s Markets all offer extensive selection of gluten free foods. And if feeling better was not enough (which it is), I have also lost 3 lbs in the ten days, but it feels like I have lost more. Dr Shores suspected I was gluten intolerant because I carry my weight around my face and midsection – two common indicators. These are the areas I am feeling the most difference in because I am no longer bloated or puffy. Now that is what I call a BONUS! I don’t know if eliminating gluten can help everyone with Fibromyalgia; I doubt it given the multiplicity of people who suffer with it, but if you suspect it may help you, I recommend you ask your doctor to test you. If you would like to research it further here is a link to WebMD. I am so new to this I cannot offer any great advice or resources, but I am open to anyone who has some for me! I went gf and vegan in the beginning of January, and I feel a million times better. I tried adding gluten back in, and it is SO BAD. I feel absolutely terrible, and pains start showing up that weren’t there while I was avoiding it. I haven’t been tested, but from how I feel, I can tell I am at least sensitive to it. Well, you know Barry’s story. You can always talk to him and he’ll tell you about him. I believe his was more extreme other than just being gluten intolerant. I KNOW, because of what he has gone through, that he has Celiac disease and that is a SERIOUS, SERIOUS problem and to go undiagnosed for many years takes a major toll on your body. So, with that said, if you have an intolerance and you can feel and see the difference, just imagine how celiac is too. I am soo happy that you have some resolution to feeling better and I TOTALLY believe that being off gluten can make you feel 100% better because I have witnessed it. Keep it up and when you have BAD days where you are missing the taste of something, remember how you felt being off it. As soon as Barry has gluten , it is instant and he gets sick right away. It’s amazing. I am soo Thankful to our holistic Dr. Ten long years of misdiagnosis and tens of thousands of dollars out of our pockets. I was tested for gluten intolerance with a negative result, but found that a very low-carb diet did help me. A few years ago, I read an article about a connection between fibromyalgia and yeast. It said that fibromyalgia patients who were tested had a higher than normal yeast level. I talked to my doctor about it…She had not heard about this specific research, but said, “If that’s true, let’s try a low-carb diet, because yeast feeds on sugar, and produces toxins”. She also did a yeast test and it was high. I avoided high-glycemic things such as rice, corn, and anything made with highly refined flours (if it lists “enriched” on the ingredient label, that’s a clue). Some vegetables, such as carrots and white potatoes, and fruits like watermelon and pineapple have a very high glycemic impact. The diet significantly reduced pain and stiffness for me. Interestingly, a low-carb diet sounds very similar to a gluten-free diet. I would be very weary of going vegan is you have fibro/CF. Ample protein is required for neurotransmiter (The feel good ones) production in the brain. And ample protein is a requirement to proper detoxification in the brain, liver and kidneys. Most certainly you can get enough protein on a vegan diet but it does require a large amount of calories! Because Fibro often has problems with toxicity and neurotransmitters I feel that in most cases a vegan diet could make these issues worse over time. You are likely feeling better because you eliminated gluten and dairy and dramatically increase you vegetable intake. Hold up Sis……………. unless I am wrong and or crazy (which you will bring tomy attention) Best Foods Mayo reads on the back GLUTEN FREE!!! I checked it this morning in my fridge! I am so glad you are feeling better and Rob too. I am next………..
Wow, how interesting is this? Finding out I had celaic disease was a blessing. I had already been diagnosed with a laundry list of other autoimmune illnesses. CFIDS and FM led the list and made my life a living hell. Going GF didn’t “cure” my other conditions, but I’m in a lot less pain, able to walk again (was in a power chair when diagnosed) and after years of a GF diet, my service dog is being eased into retirement. I just came across your blog tonight and I’m so glad I did. It’s like pieces of my life being explained by someone else 🙂 I’m at the point right now of finding out I’m likely either gluten intolerant or gluten sensitive. It’s one of those things I know I need to do and test out, and I have cut back, but oh so hard 🙂 It helps to hear how much it seems to be working for others with fibro and other problems though, a bit more inspiration to get myself over the initial hump. Have you tried any of the enzymes that help with digestion of things like wheat and that, for times it’s not possible to totally avoid gluten products? 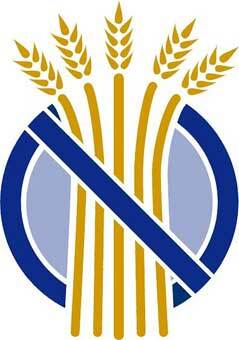 Gluten intolerance or celiac disease is an autoimmune condition, not improved by dietary aides to promote digestion. When a sensitive person eats gluten in any form, the body is activated to attack your small bowel, releasing an entire cascade of inflammatory responses, stunning the bowel and affecting your entire body in the process. If you are truly gluten intolerant, just avoid gluten in all its many and hidden forms. That is the only way to avoid the reaction we get. Coincidentally, I also have fibromyalgia. When I accidentally ingest a hidden gluten product and suffer through the inflammatory cascade process, it makes my fibromyalgia much worse. I look forward to reading your blog and sharing. Interestingly, the symptoms listed in this article and on the other websites are pretty much the same as those of fibro. I’m now wondering if WTS and fibro are not one in the same. I’d be interested to know if any of you also have low body temp. My blood pressure and blood sugar also tend to be below average. I showed the article to my MD and she did a thyroid check. T3 was within the normal range, but T4 was bordering low. She put me on the lowest possible dose of Synthroid (Levothyroxine) .025MG and said if it doesn’t help, we would try the therapy recommended for WTS. My temperature is still low, and haven’t had significant improvement in the pain and stiffness, but the very first night on the T4 med, my sleep started to improve, and I don’t seem to be getting the blood sugar dips that were making me feel the need to eat so frequently. I think there is a good possibility that my “fibro” is WTS. If that’s the case, WTS is correctible, so I am beginning to see light at the end of the tunnel! I also have a low temp with FM. I always thought that was strange. I’ve been considering trying the gluten free diet to see if it would help my pain. Thanks for your posts. This is very interesting. I have had a low body temp for years! I run from 96.8 to 98.1 – I have a heck of a time getting doctors to believe that 98.6 is a low grade fever for me. I have hypothryroid and also take the lowest dose of medicine. Good for you! My wife is on day 5 of a gluten-free diet, she is trying it to help her fibromyalgia pain, it’s been working well so far. You might want to check your medications and supplements. She found that many of them that she was told would help with her fibromyalgia actually contain wheat, and most likely gluten! Good luck to your wife James. I hope it benefits her as much as it has me. And thanks for the tip about medications and supplements. Not everyone is aware that some may contain gluten. I have just started trialling a gluten free diet, am on day 5 and am starting to feel like I have more energy. I was VERY skeptical thinking it was a bit of a fad, but had to try something. I am hoping that from here on I will also experience the relief in my muscular pain. 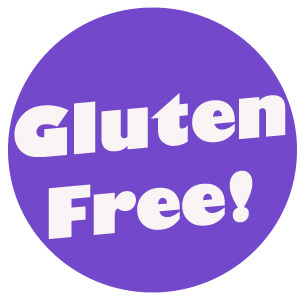 I started following a gluten-free diet at the suggestion of a naturopathic doctor 4 years ago. It made a huge difference in the amount of pain I was experiencing. Now the pain is minimal and very manageable. If I do have any gluten, my body feels the pain. Thank God that I am also not on any medication for my condition. Congratulations Leigh. I know what a commitment it is to go gluten-free, but it really is worth it. A lot has changed in four years since you first went gluten-free. It is much easier for those of us who are just beginning the lifestyle change, and it is encouraging to know that you have had such positive results. My results are similar, and I too am thankful I am not on any prescription medication. I would rather eat a bagel! I have been suffering with fibro/cfs for many years. 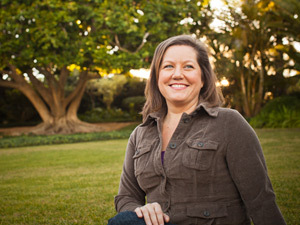 Initially I tested neg for Celiac Disease, though I was certain I had it. I never did cut out the gluten and wheat though. Recently, my overall health was at its worst so I switched to the raw foods diet with immediate positive results, but since I am already thin I was losing too much weight and just couldn’t get enough calories. I went to the health foods store and bought a sprouted grain bread that was suggested for people on a raw foods diet and within 24 hours I felt all the horrible symptoms return. My face broke out in huge acne welts, I had severe sinus problems and a cough, a headache and could barely move. I feel that I accidentally discovered a miracle cure for me… or at least a way to manage my symptoms, since its obvious that the bread is what exacerbated all my symptoms. I am going to tweak my raw diet a bit and concentrate more on gluten free—perhaps it will be the answer to my prayers! I am so glad you brought that up Amber. A negative test for Celiac does not definitively mean you do not have an intolerance or allergy to gluten. As your comment demonstrates, there is no better way to determine if you are gluten intolerant than by listening to what your own body tells you when you consume it. Bravo to you for doing what you instinctively know. I admire you for committing to the raw food diet too! Me and my family has been talking about going gluten Free, because we have noticed some members of the family have been getting really sick lately. After reading this blog I’m convinced that I need to go on a gluten free diet. It’s going to be really hard for me since there are so many products out there that have gluten that have become stables in my kitchen. I have no idea how to go about going totally gluten free. Do you start out gradually or go cold turkey? How do you get the strength to not reach out for bread at the grocery store? These are all things that are going to be hard for me to figure out. I went cold turkey Jeannie, and it was difficult, but the health benefits really outweigh the short-term satisfaction of eating a piece of bread. I do not recommend going gradual, only because if there is even a small amount of gluten in your system you will not see the true benefits of going gluten-free. Set a goal for yourself – strict gluten-free for 2 to 3 weeks. You will know in that amount of time if it benefits you and your family, and if it does, you will be encouraged to keep it up. After more than 2 years gluten-free, it is no longer difficult. I wish you the best of luck and hope it helps. Hello! I am so glad I found this! I have eliminated gluten for about a month and 1/2. I have all the symptoms of fibro, although my doctor is reluctant to say so. I’ve had a ton of tests run since my mother has MS(Dr. Said there is a genetic link I had never been told about). After a clear MRI and endoscopy(had lots of digestive issues….misdiagnosed with an ulcer), I did my own research. I am certain it’s fibromyalgia. So, I went GF. I immediately noticed a positive change in energy and brain fog. It has not, however, seemed to help with pain. Well, maybe that’s not true. Maybe other factors trigger a fibro attack for me. I typically have three to four “good days” a week. I noticed where I am at in my cycle really effects me too….anyone else notice that? I am fine being GF for life with the improvements I’ve had…dairy is harder for me to give up. I cannot do straight milk AT ALL(IBS symptoms). seem to do fine with high fat cream and cottage cheese though? Also fine with lactose free dairy yogurt. I get no IBS symptoms from them but hoping they are not triggering pain? What does everyone feel about night shades? Greetings! Very helpful adviice in this particular article! It is the little changes that will make thee greatest changes.